Depending on your choice of package, we can provide complete, subtle coverage of your whole day. From bridal preparations to guests’ arrivals, throughout wedding ceremony and reception, and the speeches, right up to the evening celebrations including the ever-popular video messages from your guests. 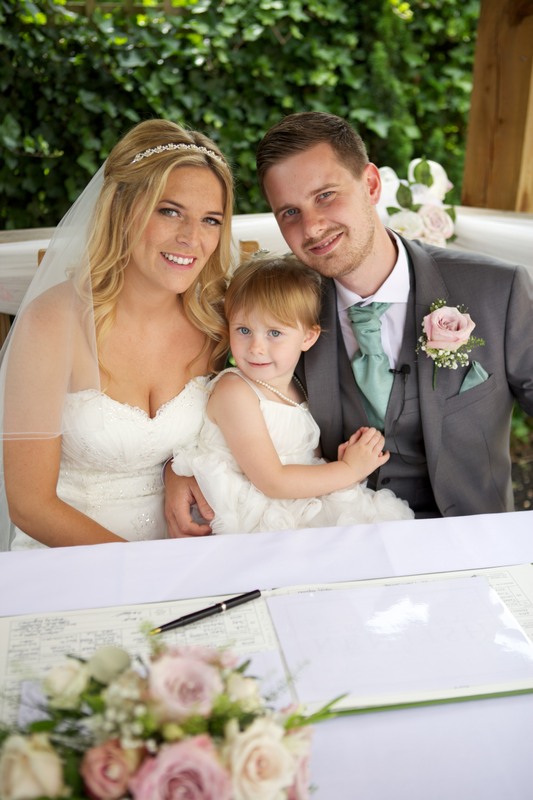 The vast amount of footage we collect during the wedding day is beautifully edited with music chosen by the happy couple, and presented in a double-box set with a beautiful, personalised case unique to your special day. So what can you expect when we attend your wedding? First and foremost, you will have our cast-iron assurance that our team will be smartly-dressed, polite and courteous to guests and other staff at all times. 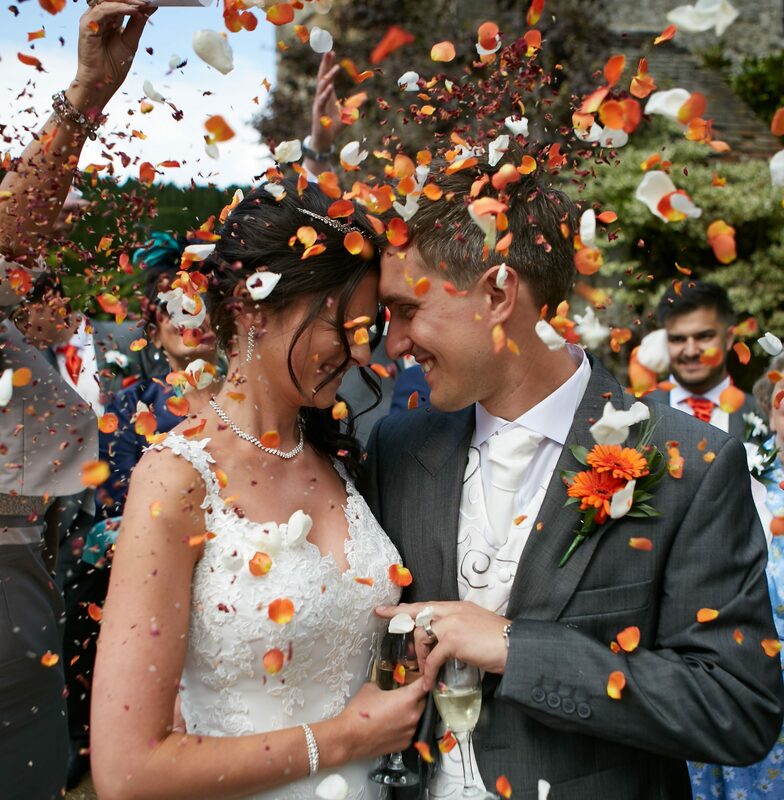 We believe there are other important aspects to the wedding service we provide, in addition to camera and editing skills, which undoubtedly enhance the day. A wedding is often the most important day of our brides’ and grooms’ lives, and we are never complacent about this fact. We are receptive to special requests, and maintain a positive, can-do attitude at all times. By far, our most popular packages are Combination Options 3 and 4, when filming and photography begins at the venue where the bride is getting ready. This may include shots of attendant family or friends, as well as tasteful and discreet coverage of bridal preparations such as finishing touches to hair and make-up, or placing of jewellery, tiara or veil. From there, our team heads directly to the ceremony venue to set the scene. 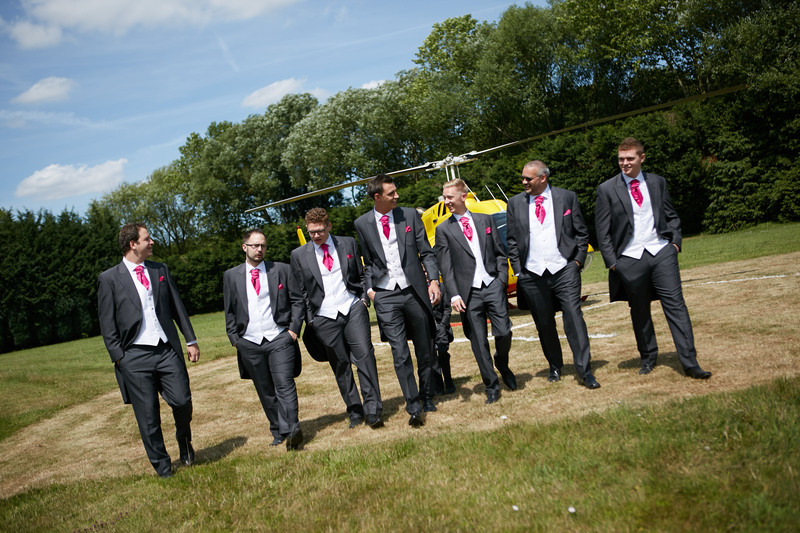 We capture guests arriving and meeting with the groom, and entering the venue, followed by the bride’s arrival. 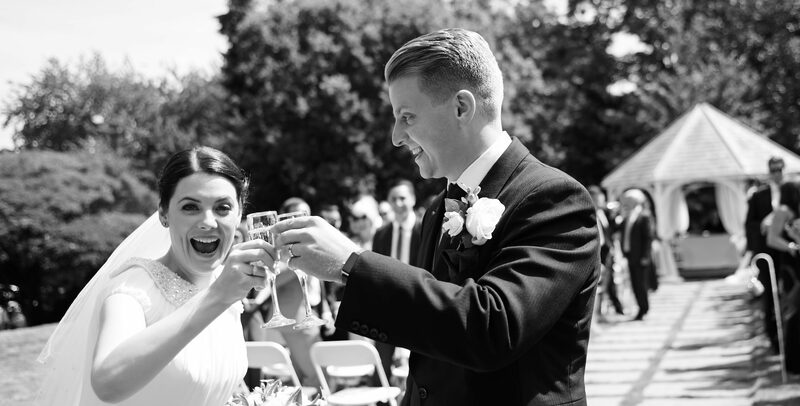 We then film and shoot the entire ceremony (with prior venue approval, see FAQ). Once the ceremony is complete, it’s time for photos. Our general approach to wedding photography is that it’s best to use a variety of styles to effectively display such a detailed day. We focus mainly on reportage and traditional styles for the preparation, venue, ceremony and reception shots. Traditional style works best for group photos, we feel, and contemporary, still-life shots flatteringly highlight all the little details of the day. When group shots are complete, we travel to the reception venue. We film and shoot the entire reception room, along with you and the rest of the ‘top table’ entering and greeting your guests. Cameras are switched off while guests eat. We then record speeches in full. We always capture the cutting-of-the-cake, first dance, and evening party scenes, as well as video messages. These give your guests the opportunity to leave a special message, just for you, to be included on your DVD. Each wedding is different, and we’re dedicated to making your day as personal to you as possible. Therefore, this account is given as an example only. When the editing, mixing and design is complete (usually two-six weeks later), you are sent a double-box set DVD for approval. One disc contains a fully chapter-selectable video of your day. The second disc contains all of your photos.